Be sure you're paying enough tax to cover any capital gains liability. When you’re closing out a winning stock trade, the last thing on your mind is paying the taxman. But if your tax bracket is high and your gain small, that little profit could end up costing more in taxes than it made. Busy traders might want to check with their tax professional to ensure they are in compliance with IRS capital gains tax regulations. Gather your brokerage statements or go online and print them from your trading account. Put the statements in month by month order. Start by matching up the first completed trade. Calculate the basis by taking the purchase price and adding in the brokerage commission. If you paid an additional commission when you sold, add that into the basis as well. Review your brokerage statements to see if you received any stock dividends. If so, add those amounts to your basis. You already paid taxes on the dividends, which is why they become part of the cost basis. Next, subtract the total cost basis from the selling price to find your net profit or loss. Check to see how long you held the assets. If it is less than one year, you have a short-term capital gain or loss. If they were held longer than one year, it’s a long-term capital gain or loss. Keep the short-term and long-term trades separate and continue calculating the net profit or loss for the rest of your trades. Start with the short-term trades and enter each one on Part I of Form 8949. Remember that 1099 trades reported with basis, without basis, or trades not reported on a 1099 be listed on separate Form 8949s. After listing all the short-term trades, total columns e and f and enter those amounts on line 2. Enter your long-term trades in Part II of Form 8949 as you did the short-term trades in Part I. Next, transfer the short-term and long-term totals from Form 8949 to the appropriate line on Schedule D. Complete your Schedule D and transfer the totals to your Form1040. Long-term stocks are taxed at a maximum tax rate of 15%, while short-term stocks are taxed at your regular tax rate. Calculate the tax difference to see if you would be better off selling the stock or holding on to it longer. Make sure your stock trading won’t result in an underpayment of your income taxes. 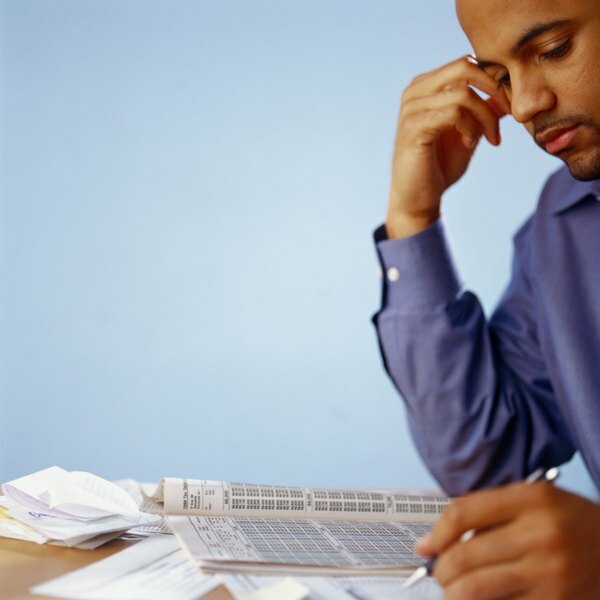 The IRS can penalize taxpayers for not making the required estimated tax payments.